In marketing there are the basics and then there are the bells & whistles, or the extra effort you can put in to take things a step further. As a stylist, you yourself are a brand so use that to your advantage. Make a plan, set goals, execute them, and don’t give up! Consistency and follow-through are just as important as your ideas. It’s all about baby steps. Think of what it feels like to grow out your bangs or your hair. Have you ever chopped your hair off and immediately missed your long locks? Your hair won’t be gone forever—it will grow. Patience is key. The same goes for marketing yourself as a stylist and/or for marketing your salon. You just need a starting point. 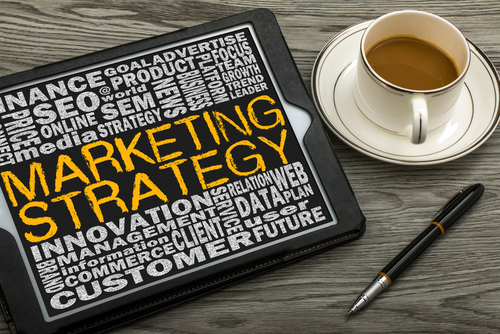 By this I don’t mean build your entire marketing plan in one sitting. I just mean think of an overall summary of yourself, your business, and what your goals are. What do you want and why? Once you identify this, the next steps will help you pave the way to get there. Get ready to brainstorm! Who do you want in your chair? Why? What are these clients like? Later you can start brainstorming ideas of how you can appeal to them. Do a SWOT Analysis of your salon. 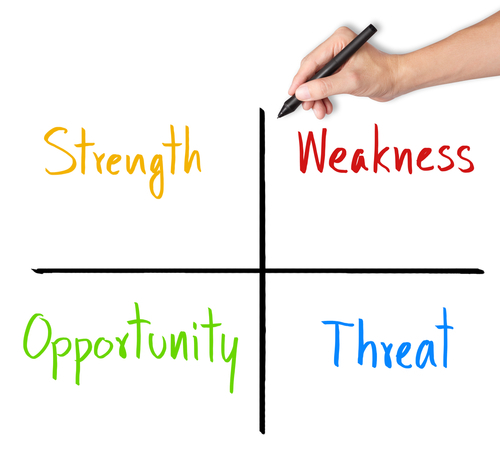 Read Here for information on what a SWOT analysis is and how to do it. A solid brand is so much more than just a logo and color scheme. It is your business’ personality. Check out this awesome article on why branding is so important in marketing. Building a compelling brand and brand experience will drive client loyalty. By using all of the things you brainstormed and identified in steps 1-3, you should be able to determine the kind of brand you want to be and the brand experience you want to offer. Remember, it is great to be specific, but don’t hinder yourself either. That’s the tricky part! For example, if you define your salon’s brand as providing the best cuts and styles for women with curly hair, you would be closing yourself off from clients seeking your services who don’t ha ve curly hair and who aren’t women. Don’t limit yourself to one specific style or demographic with a tightly constrained brand. 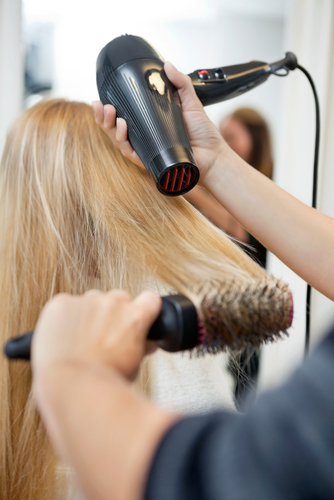 If you do want to be identified within a small niche market, for example the trending Blow Dry Bar, just be sure to do it consciously so that you have enough to work with and are able to grow and evolve. A good brand can reverse the ‘sales’ process. Instead of you having to do the legwork—clients will start identifying with and trusting you based on your distinguishable brand. Use your brand to generate trust. Once you have these 4 steps outlined, then you can get to the fun stuff of bringing it to life with a more concrete road map. I say road map because it truly is a journey. Let’s get there together! Keep watching this space for more marketing tips and steps on how to build the perfect marketing plan for your salon, spa, or barbershop. ← Are You the Next Big Thing?